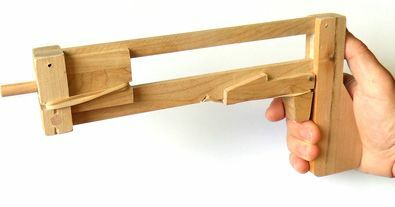 Many people have asked to buy the jenga pistol, but i just don't have the time to build them. 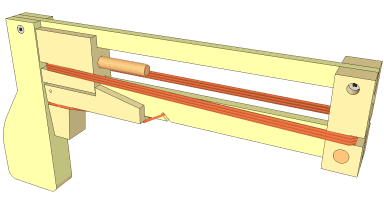 So I came up with a simplified, easier to build design of the jenga pistol. The plans use a series of paper templates that you print out and paste onto pieces of wood to cut them out with a bandsaw. No measurements necessary! The plans also include detailed drawings of all the parts with measurements if you prefer to measure. The plans were drawin with the free Google Scketchup, and the 3D sketchup model of the jenga pistol is included with the plans. 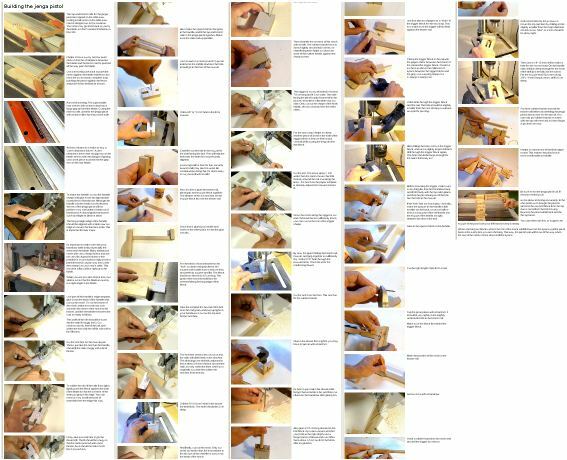 The plans also come with very detailed illustrated instructions showing every step of building the jenga pistol. The plans are a 1.7 megabyte zip file (your computer, Mac or PC, already knows how to open zip files) A download link will also be emailed to you automatically. Some email programs may treat this email as spam, so please check your spam folder if you did not receive the email.